I recently covered a plugin called Gust, which brings the Ghost like admin panel into WordPress. Gust and Ghost both let you use HTML and Markdown in your posts. I really loved and got into Markdown as I was reading and writing about Ghost. So, now even WordPress support Markdown with the help of its Jetpack plugin. You can easily enable Markdown module from the Jetpack option page. Just like WordPress, Markdown is an open-source plain text formatting syntax. Tons of websites, such as Stack Overflow and WordPress are using Markdown. It’s even easier than writing on a WYSIWYG and an HTML editor. You just need to write some basic text mark-up to render beautifully formatted text. You can visit their official project page at this link. * First Line. * Second Line. * Third Line. 1. First Line. 2. Second Line. 3. Third Line. You can learn more about Markdown formatting syntax on their official project page at this link. 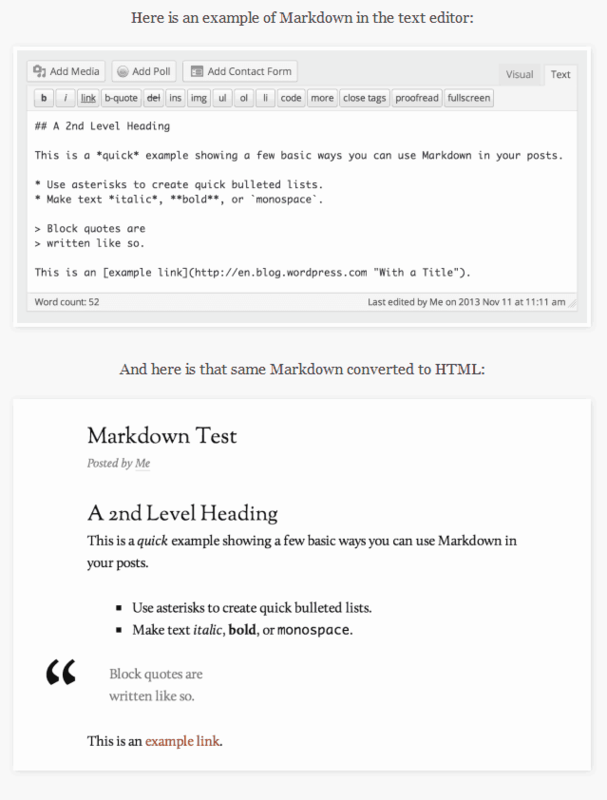 Jetpack’s Markdown module supports all the same formatting available on WordPress.com’s post-editor. I’m pretty interested about Markdown, as it makes a lot easy for me to create lists and stuff without writing same line again and again. You just need to add a star character before your line and that’s it. Adding hashes before your text will render it as a headline. It’s all clean, and easy. I wonder if it’s the future of writing and formatting.